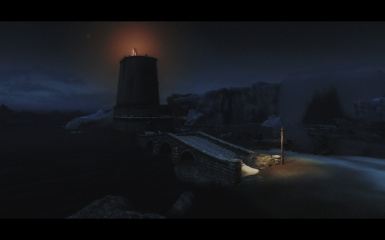 After many hours of gameplay, I just figured out that Windhelm, a city with harbour, is missing of a lighthouse! Well... I've just added it and it's located in North-East of Windhelm (map marker available). A caretaker NPC with his house inside the lighthouse. He lit up the fire at 7pm of every day. *** Disclaimer: This isn't my mod, but I got the permission from MannyGT to port his work on SSE. Also, I didn't edit the file and I will not because this isn't the goal. Hope every one will enjoy this mod on SSE. 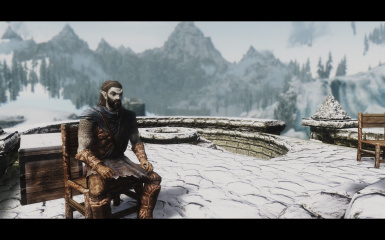 I port it because I can't play skyrim without this mod. *** For installation, I recommand to use Vortex or Bain. If it had a BSA, it was extracted by me. Also, with mod managers, it is more easier to uninstall mods. *** Only the original author is owner of his creation, this mod is here because he want that. Also, this mod will be removed without question if he change his mind. *** Let me know if something go wrong with the port. Just drop the BSA and ESP in data folder and activate them.